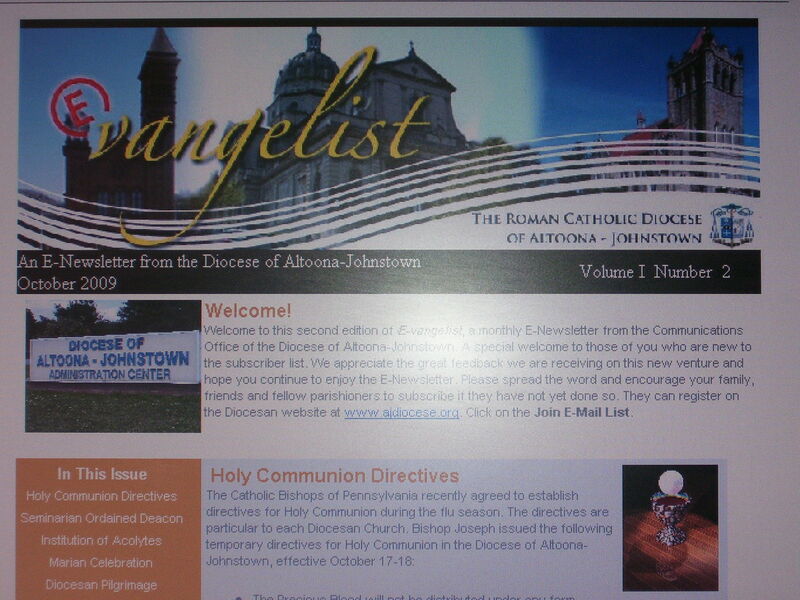 FeThe E-vangelist E-Newsletter is published monthly by the Office of Communications. The E-vangelist delivers a brief summary of news and happenings in the Diocese and offers spiritual resources for the various Liturgical seasons. To subscribe to the E-vangelist, click on E-mail Sign-up in the upper right of this page. Encourage your family, friends and fellow parishioners to subscribe. Click below to view past editions of the E-vangelist.